Would you prefer to have a conversation about purchasing a new car with the international superstar Matt Mcconuaghey or the friendly mechanic Mary Smith? When it comes to influencer marketing, the answer is key to reaching your target audiences on social media. Influencer marketing has become one of the most effective tactics in terms of “cutting through the clutter” and creating a community of brand advocates. The trend, however, for many brands is to use microinfluencers as brand ambassadors to engage their target audiences instead of the big name macroinfluencers or celebrities. According to the 2018 eMarketer report, “Global Influencer Marketing: What Platforms to Use, Policies to Follow and the Paths to Purchase Around the World,” microinfluencers generally have 1,000 to 10,000 followers. So what happened to tapping into the millions of Kardashian followers to sell makeup or a purse? The goals of an influencer marketing campaign, just like any other content marketing campaign, are to create brand awareness, increase social media engagement, improve conversions or gather analytics. And just like any other content marketing campaign, you employ inbound marketing methodologies to empower your customers and move them through the buyers’ journey. The microinfluencer influencer role is to act as your brand ambassador by having those one-on-one personal, real-world conversations across multiple channels—meeting audiences how, when, and where they want. 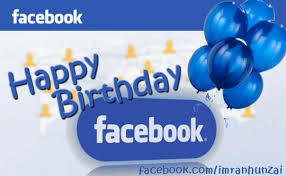 Tomorrow, Facebook will be 11 years old; and there’s no doubt that it will be another historic birthday. According to Pew Research, the social networking site is still considered the most dominant platform on the Web, which is used by 57 percent of all American adults and 73 percent of all those ages 12-17. Adult Facebook usage, according to Pew Research, also continues to grow with 64 percent of users visiting the site on a daily basis, up from 51 percent of daily users in 2010. But when it comes to teens— although many have moved over to Instagram—the total number of users still remains high, says Pew Research. On Feb. 4, 2007, Mark Zuckerberg and co-founders Dustin Moskovitz, Chris Hughes and Eduardo Saverin launched Facebook. 890 million daily active users on average for December 2014. 745 million mobile daily active users on average for December 2014. 1.39 billion monthly active users as of Dec. 31, 2014. 1.19 billion mobile monthly active users as of Dec. 31, 2014. Approximately 82.4 percent of our daily active users are outside the U.S. and Canada. How much time did you spend on Facebook last year? Trust me when I say people are watching! According to PR News, it’s critical for brand marketers to know how you are spending your time on the Internet as a whole. In other words, marketers want to know: what are your favorite sites; how much influence do sites like Facebook have on your views, opinions and purchasing habits; and last, but certainly not least, where are you spending your money?